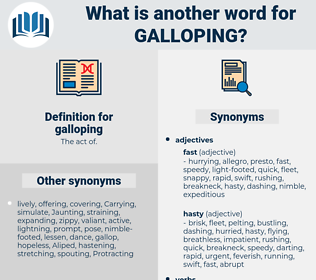 What is another word for galloping? 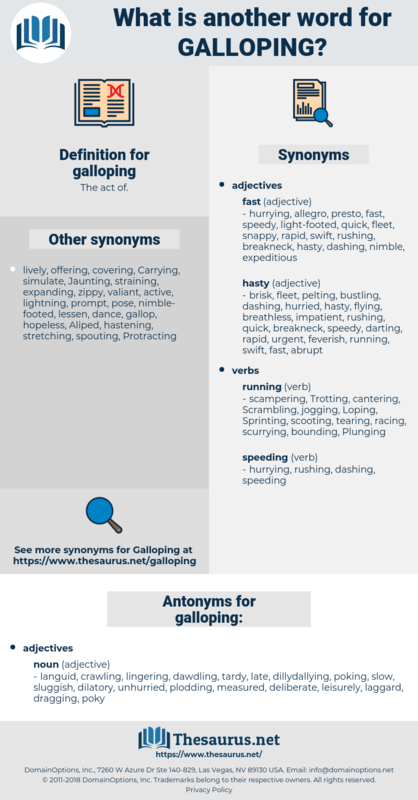 languid, crawling, lingering, dawdling, tardy, late, dillydallying, poking, slow, sluggish, dilatory, unhurried, plodding, measured, deliberate, leisurely, laggard, dragging, poky. The ground was shaken as if horses were galloping about. It was the report of a gun, and by - and - by we heard a horse galloping, and then a well - known bark.